When you have a contraction, your womb (uterus) tightens and then relaxes, like a stronger version of period pains. You may have had contractions throughout your pregnancy, particularly towards the end. During pregnancy, these painless tightenings are called Braxton Hicks contractions. .. I am still getting odd days of SPD where walking is painful and also baby is definitely kicking my bladder at intervals which is weird and uncomfortable and what feels like it is pushing against my bladder particularly if I stand up. Heartburn is ever present particularly at night. Toilet visits are far more frequent now too - both day and night. 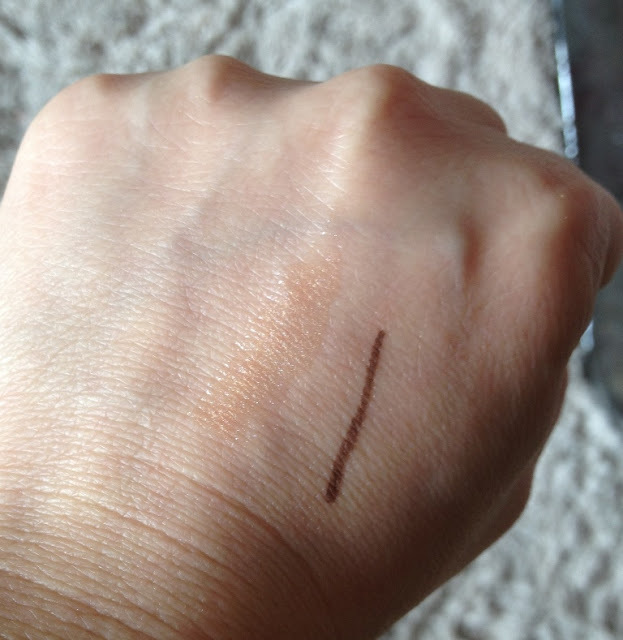 My sleep is quite often disturbed either from waking up needing the toilet or just being too uncomfortable to sleep and so I have taken to using Vichy Idealia Skin Sleep to help moisturise my face and to fake a good night's sleep, it give me a cheats glow in the morning! 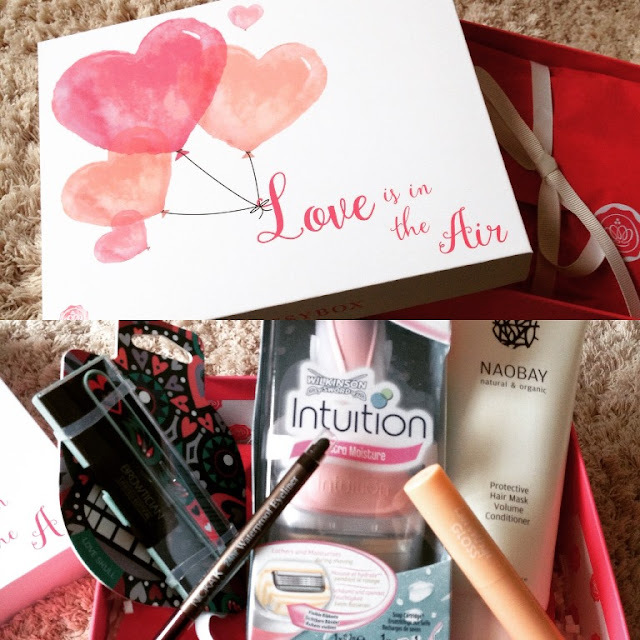 It smells so nice and does the job so I am happy! Iron levels are low so I am taking Floradix as a supplement. My baby bump is visible and my clothes are feeling tighter (I have just gone up a dress size) but I am still getting comments like I don't seem very big for how far gone in pregnancy I am... This can be quite hurtful to be honest. 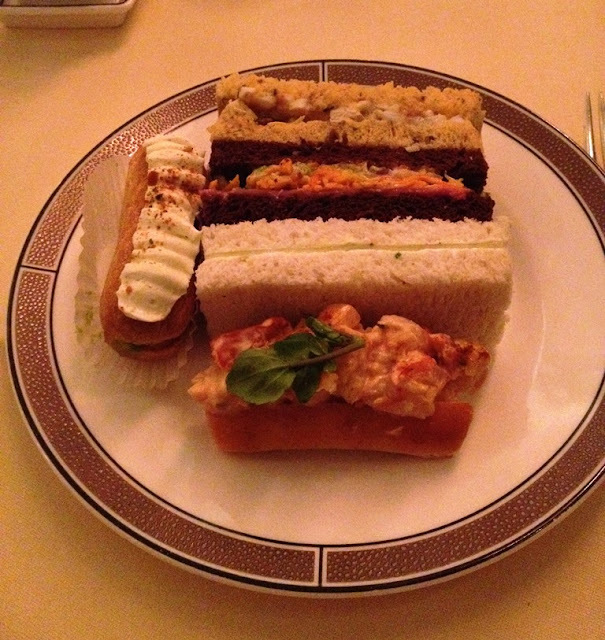 Exactly five years ago my mum, sister and myself headed off to The Langham London for afternoon tea. We had a great time, the Palm Court where afternoon tea is served, although large was cosy and the service was friendly. The pianist even came around and asked us if we had any requests. All in all it was a fabulous experience and if you want to read more you can read the original review here . Five years later I was invited back to The Langham to try their Wedgewood Afternoon Tea. Well what can I say, from the minute you step out of your car, taxi or just walk up to the hotel you are greeted with the warmest of welcomes. The Doorman was ultra friendly with a huge smile and it was no easy feat him being stood outside for so long, we visited on the coldest day of the year! We were at the last sitting of the day 5.30pm and there was still a buzz in the air. 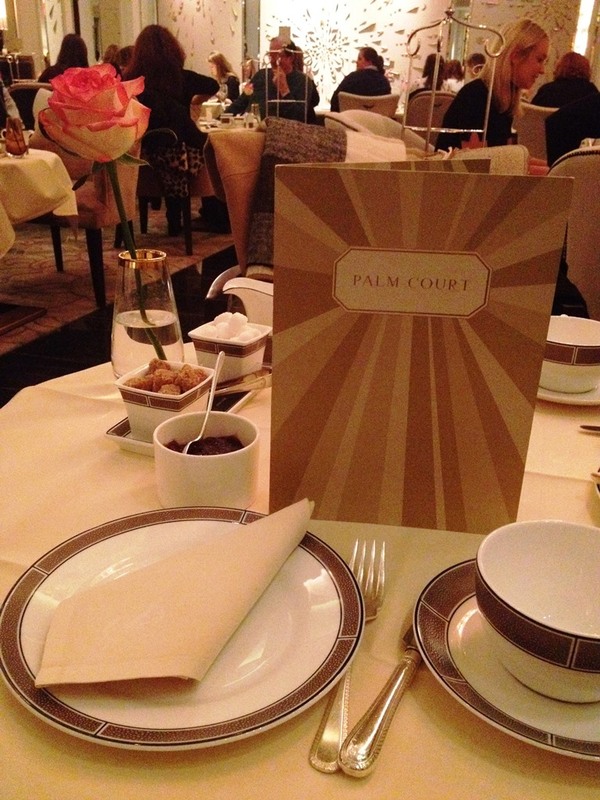 The Palm Court has been updated and refreshed but not too different from what it was before. Funnily enough we were shown to our seats which happened to be the very same corner that we had occupied the last time we visited. 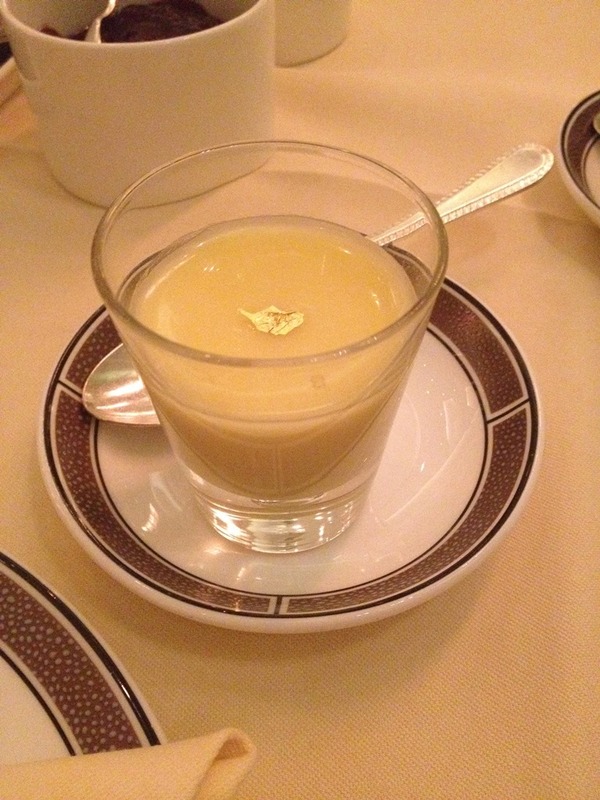 To start we were treated to a Lemon Posset for the Amuse Bouche. The lemon posset was smooth, silky and creamy with a light tartness that was just the perfect way to start the afternoon tea. We chose our teas, I went for the Wedgewood Original, however be prepared there is a wonderfully wide selection to choose from and the tea sommelier is happy to advise. Next we were brought our sandwiches - I loved that there was a mix of traditional sandwiches and delicate rolls to devour... and tasty they were. We were offered seconds on the sandwiches but we declined knowing just how much more food was to follow! 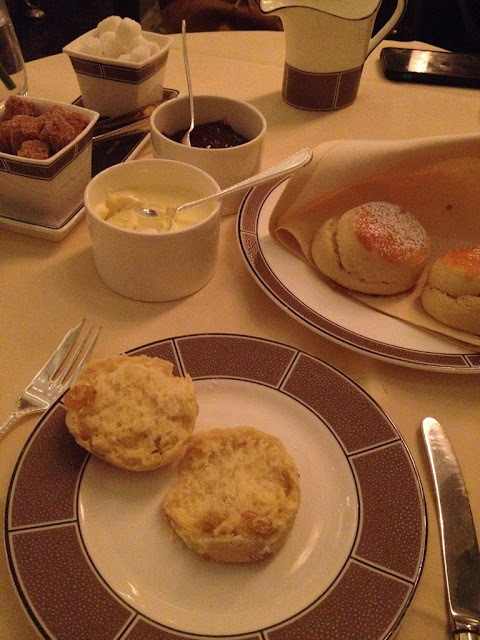 The traditional scone course followed and we were not disappointed. They were warm, light and fluffy and just the right size to enjoy. 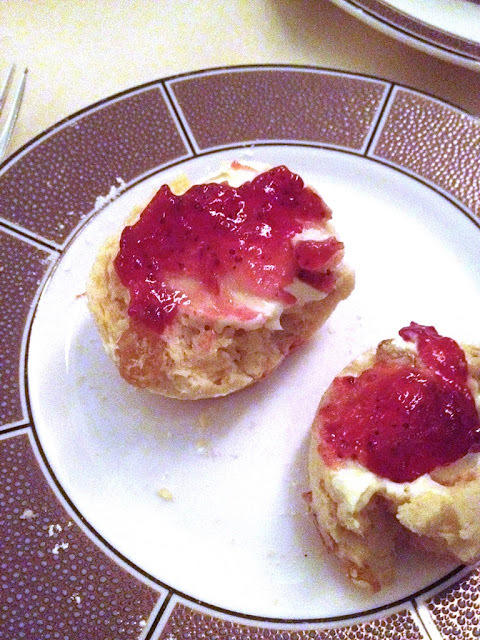 Some of the nicest scones we have ever had and these were served with Devonshire clotted cream and Strawberry preserve. These delicate and pretty pastries were absolutely delicious, light and dare I say it moreish...even though I struggled to finish them. 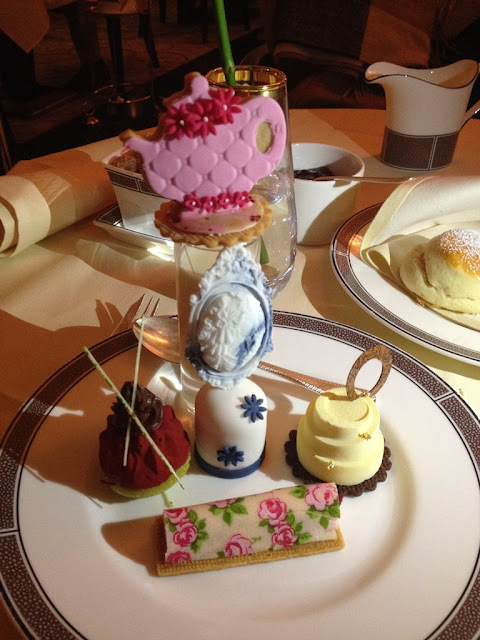 They looked exquisite much to our delight and were small and intricate (everything I love about the perfect afternoon tea) Just look at the detail that has gone into their creation... works of art! 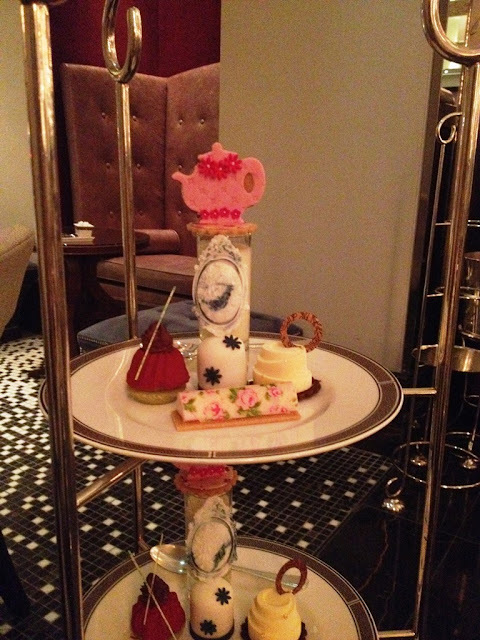 We couldn't fault our afternoon tea in anyway, It was delicious with the right mix of flavours, tastes and texture. Service was impeccable and with a smile. We never once had to lift a finger, the staff were attentive and ensured that our teacups were always filled. Live music was provided by a pianist which I adore and never stopped the entire time we were seated. In fact after a while he was joined by another instrumentalist which just added to the already fantastic atmosphere. A round of applause rang around the room after one particular piece. I *may* have started this! We had a fabulous and stylish afternoon and thoroughly enjoyed ourselves. 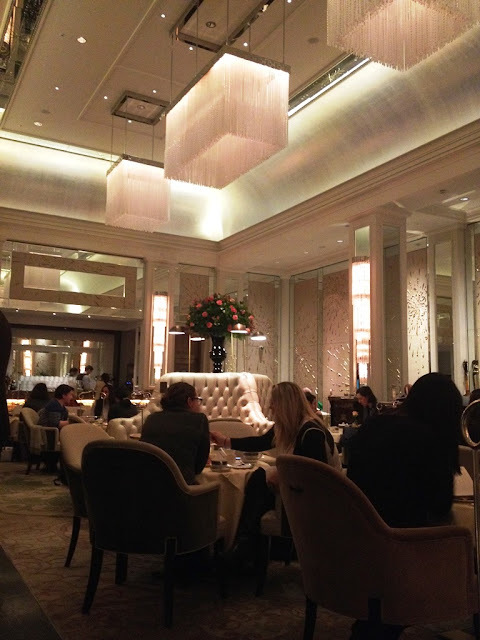 Five years later The Langham is still one of my all time favourite hotels (a visit to their bar The Artesian is also not to be missed) and the Palm Court serves up one of the best afternoon teas in London.